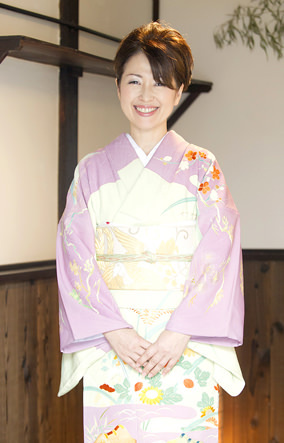 naoko (my own name) “The traditional japanese taste and elegance” “A japanese style space for people to gather” “A pleasant conversation with laughs and smiles” that is what comes to mind when you think about kotatsu (warming table or carpet). The first kanji of kotatsu, 炬, is then used to write the last part of my name. Thus, with the warm kotatsu, I would like you to picture a place were people would sit in circle and have friendly chats. A friend of mine thought of the name, even though there are no kotatsu in my houses, ahah. I worked in the tourism industry for a very long time before. 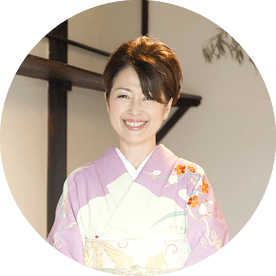 While I was trying to think about the people who come to visit Kyoto, I thought “if there was such an accommodation…” and little by little ideas came in my head. The shape that these thoughts took is naokonoza. The traditional houses that the Kyoto people take great care of. The inner garden that you can gaze at from every room. The steep staircase to the second floor. The visible ceiling’s beams. The ranma, wood transom carved with unusual decors, all these things that even if we wanted to, we could not build today. Nevertheless, they are being demolished every year. There are less and less machiya and I thought that was a sad thing. 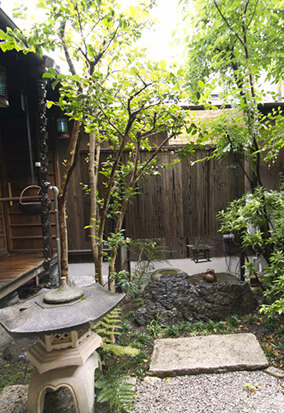 That is when I thought about linking these two things that are a guesthouse and a machiya. Thus our lodging was formed with the help of many skillful persons who lent me their talent. 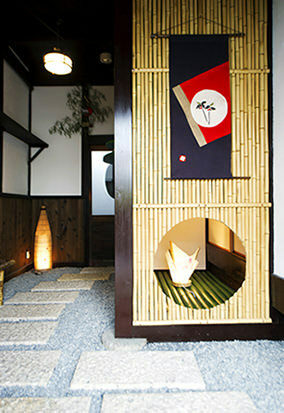 This is something different that you cannot experience in perfectly neat hotels or ryokan. I hope you can spend a calming moment in traditional Kyoto houses still inhabited by many people in Kyoto during your trip. Go out to the nearby temple, in the early morning try to participate in the lectures of sutras, peek into the local stores that have been here for years, in short, enjoy your time in Kyoto as if you were one of its inhabitants. While remembering everyone’s smile of satisfaction, I carefully clean the houses, clear the leaves from the garden and walk around the city to find cute things to put in the houses and wait for the arrival of my guests.